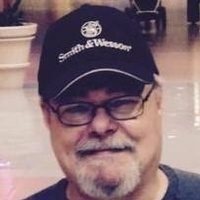 David Scott Smith, 51, of Hope, died Monday April 8, 2019 in Liberty, KY. while visiting family. Olive “Pat” Herron, 97, of Hope, passed away Thursday March 7, 2019 at Four Seasons Health Care Center. Carrol Mae Vest, 81, of Hope, died Thursday February 21, 2019 at her residence. Mary Jo Titus Hermon, 88, of Hope passed away Monday February 18, 2019 at Miller’s Merry Manor. Dannielle Rose Fields, 22, of Flat Rock passed away Wednesday February 13, 2019 at Columbus Regional Hospital. Rick R. Elliott, 59, of Hope passed away Sunday Jan. 6, 2019 at his home. Susan Kannapel Misner, 69, went home to be with the Lord Nov. 24, 2018 surrounded by family, friends and the presence of Jesus. Robert L. Dalmbert, 88, Attorney of Columbus, passed away at 6:28 a.m. Dec.14, 2018, at Our Hospice of South Central Indiana Inpatient Facility. Howard W. Mize, 87, of Hope, died Friday, Dec. 7th, 2018 at Miller’s Merry Manor. Eddie Dean Crossen, 52, of Hope died Nov. 29, 2018 at IU Methodist Hospital. David R. Troth, 51, of Hope, died Thursday Nov. 29, 2018 at Willow Crossing Healthcare. Carvin F. Bode, 89 of Hope died Wednesday Nov. 28 at Silver Oaks Health Campus. Annetta Johnson (Tungate), 76, of Hope, died Friday Nov. 30, 2018 at Columbus Regional Health. Donald C. Butler, 77, of Hope, died Friday, Nov. 30, 2018 at Miller’s Merry Manor. Joseph Wright Jr., 85, of Shelbyville, died Sunday Nov. 25, 2018 at his home. Charles Robert Campfield Sr., 66, of Hope, died Wednesday Nov. 7, 2018 at his home. Ruby F. Kinney Sinclair Roberts Stephens Childers, 71, of Hope died Saturday Nov. 10, 2018 at Miller’s Merry Manor. Trevor “T.J.” Frazee, 18, of Hope, died Thursday August 23, 2018 at Columbus Regional Hospital. Everett H. Sims, 95, of Hope, died Wednesday, July 11, 2018 at Columbus Regional Hospital. Charles Robert “Bob” Rose, 78, of Hope, died Wednesday, July 11, 2018 at his home. Betty L. Moore, 80, of Hope, died Wednesday, July 11, 2018 at Columbus Regional Hospital. Joan Venable, 89, of Hope, died Sunday, July 1, 2018 at Our Hospice of South Central Indiana. On June 19, 2018 at 1:40 p.m., Jesus received Kelly Ann (Hyden) Paetzel, 55, of Hope. Susan O. Douglas, 74, of Hope, died Saturday, June 2, 2018 at Columbus Regional Hospital. Ruth Beeker, 98, of St. Louis Crossing, passed away Saturday, May 26, 2018 at 10:45 p.m. at Millers Merry Manor. Margaret L. Harter, 83, of Hope, died Friday, May 18, 2018 at Columbus Transitional Care. Brother Warren C. Burks-Bey Jr., 81 years young, born July 23, 1936, fulfilled his earthly tasks and was called home to rest on Tuesday morning, May 15, 2018. He passed away at Miller’s Merry Manor. Betty I. Burton, 77, of Hope, died Friday, May 11, 2018 at her home. 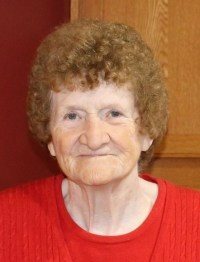 Belva Mae Lawson, 84, of Columbus, died Monday April 30, 2018 at Franklin Masonic Home in Franklin, Indiana. Vollila Exene VanSickle, 83, of Flat Rock, died Friday, April 27, 2018 at Major Hospital. Ruth I. Whittington, 83, of Hope, died Wednesday, April 25, 2018 at Our Hospice of South Central Indiana. Goldia Mae Miller (nee Williams) passed away April 23, 2018, just 22 days before her 105th birthday.